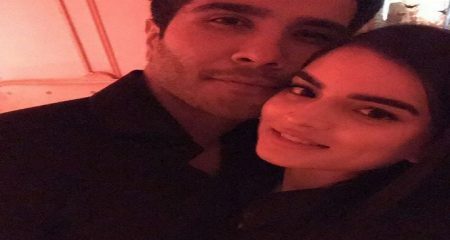 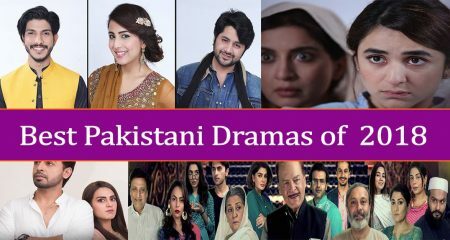 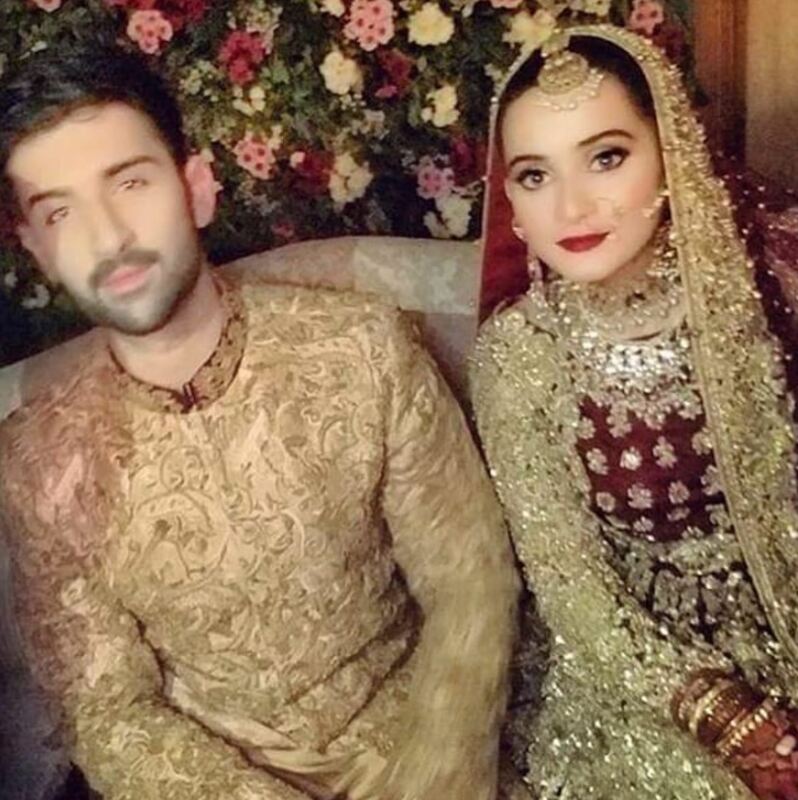 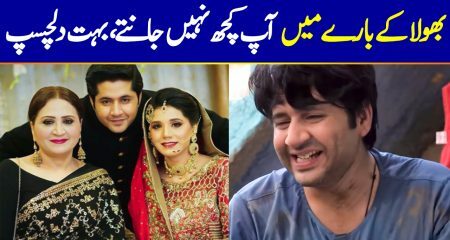 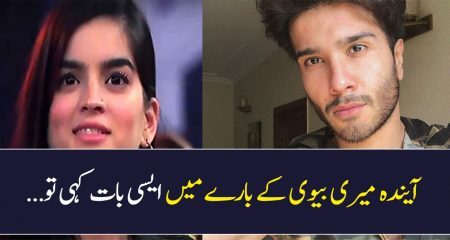 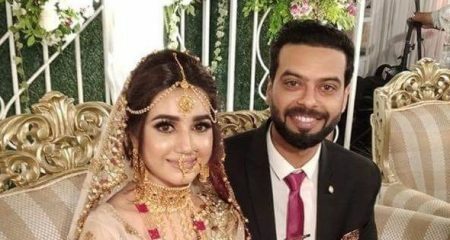 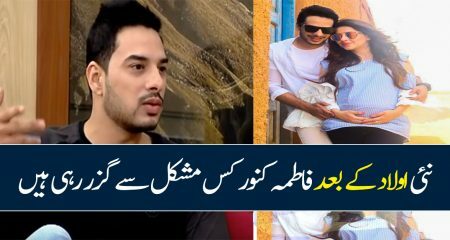 Aiman Khan’s wedding is finally coming to an end. 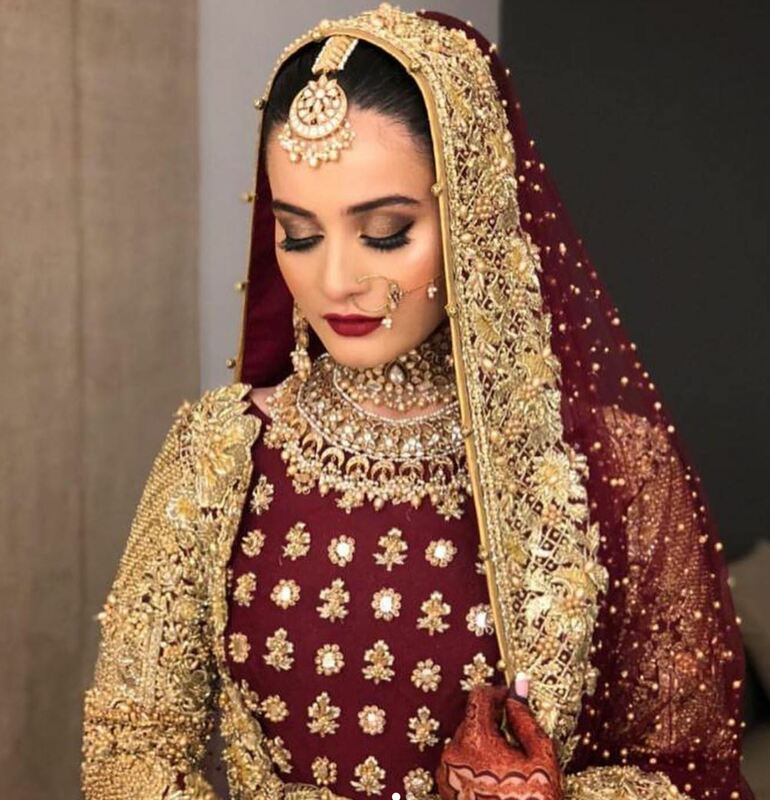 She sported many different looks on all her wedding functions and all these looks were liked by the fans. 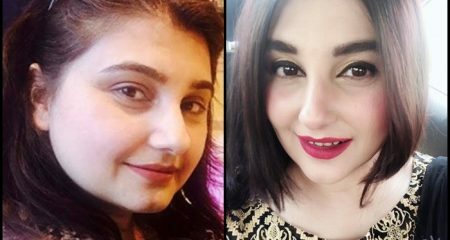 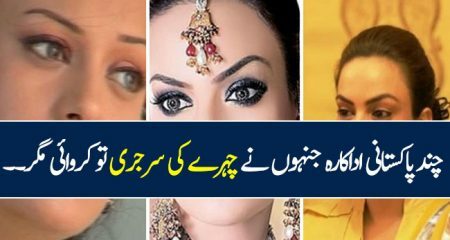 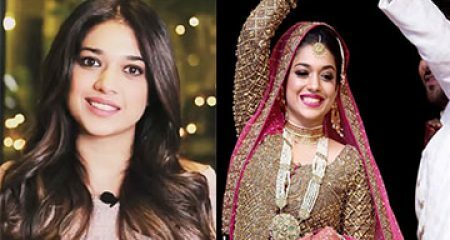 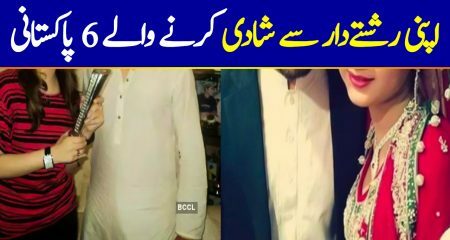 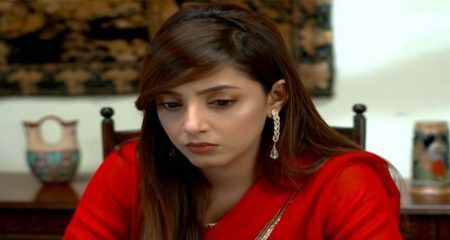 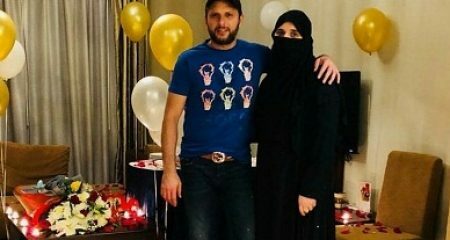 Her big day was her Baraat function and instead of going to the same salon which did her makeover on rest of her days, she decided to get her makeover done from the famous celebrity artist Omayr Waqar. 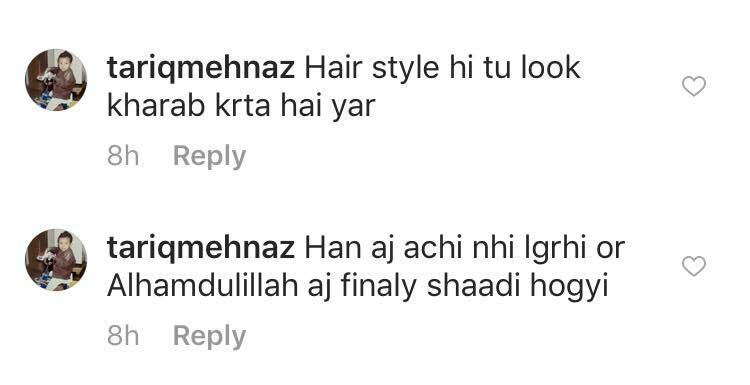 He is the same make-up artist who gave Mahira Khan his bridal look for the Molty Foam advertisement. 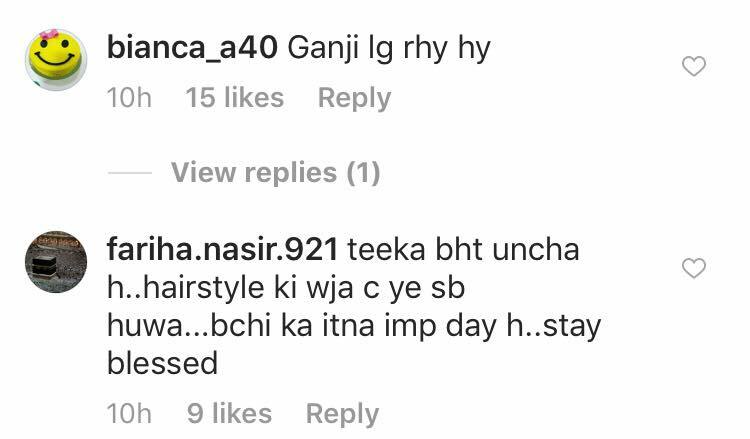 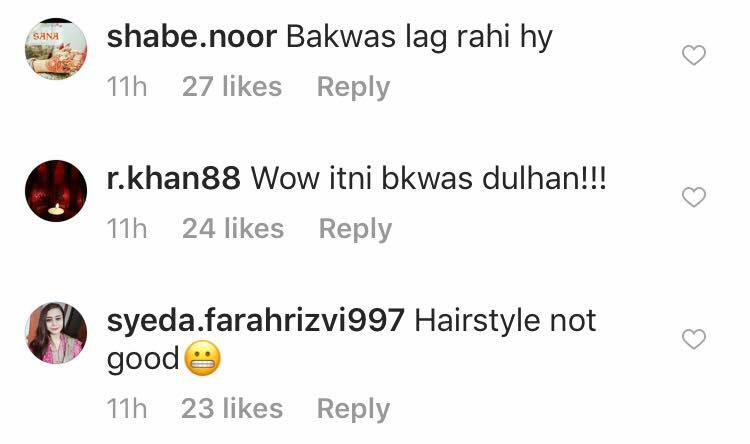 When Aiman Khan’s first picture came out, people rejected her overall look and her hairstyle in particular. 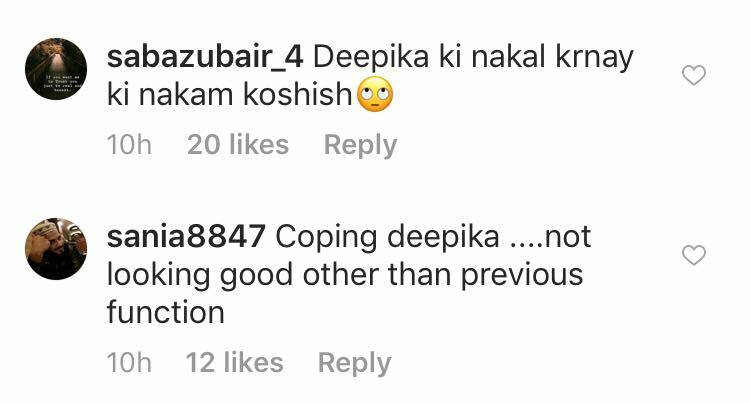 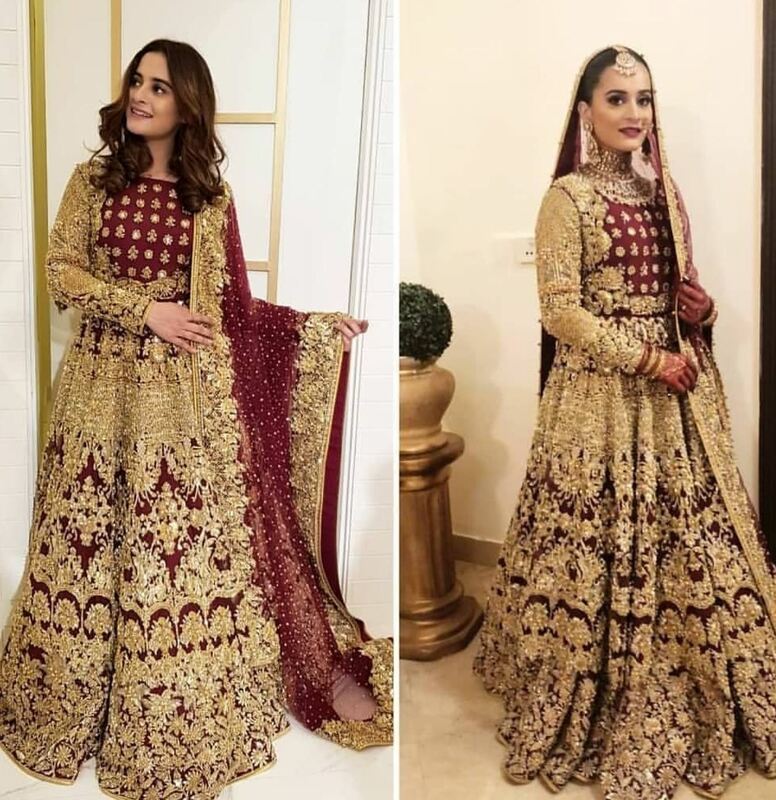 Many people commented that Aiman Khan had tried to copy Deepika’s look but failed miserably at it. 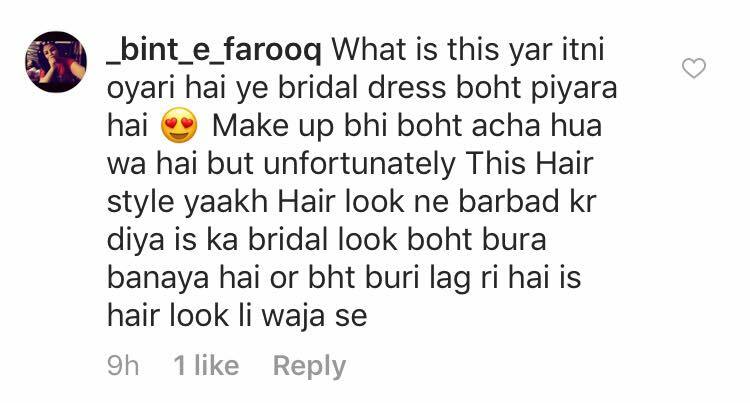 There were also those people who said that Aiman made a bad choice by choosing Omayr as her make-up artist. 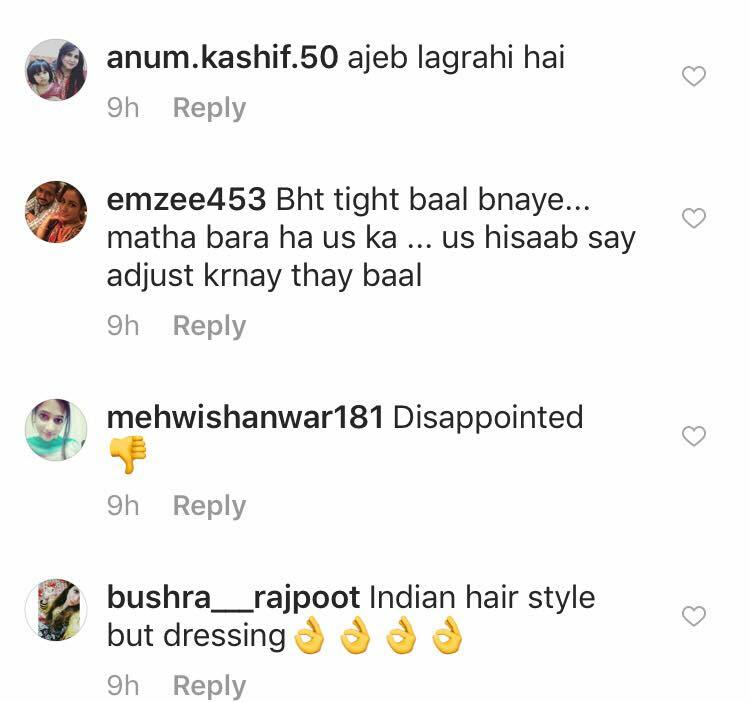 There were people who were simply ruthless and passed many mean comments. 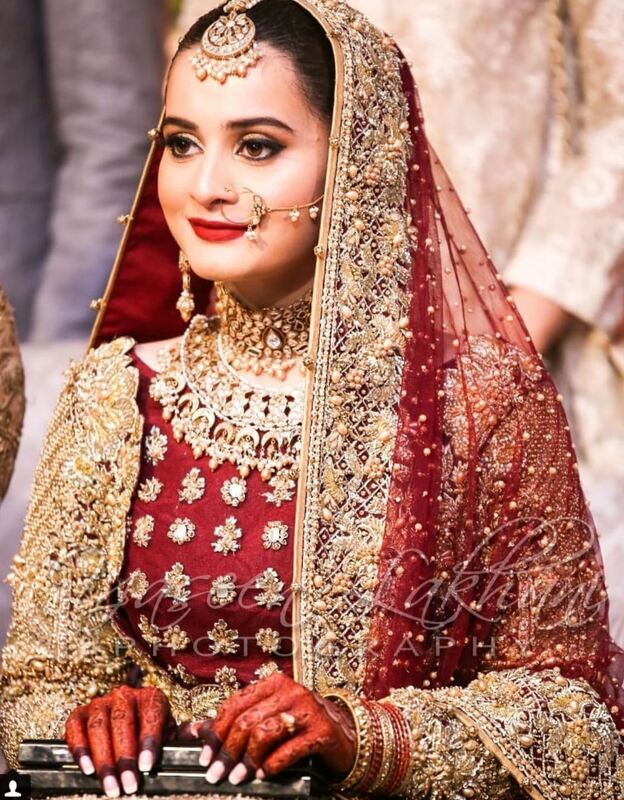 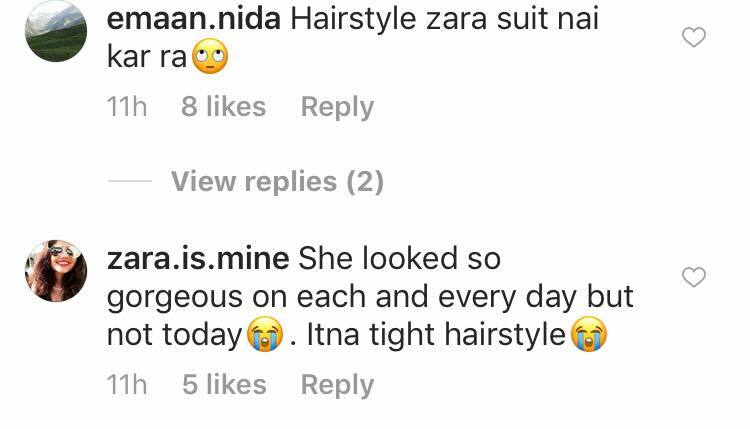 Here is what people had to say about Aiman Khan’s look for her big day.